The Espace 628CC is the most luxurious member of the Espace 628 family, with a supportive high backrest and a thick, sprung seat specially designed for the comfort of conference delegates or concert goers. 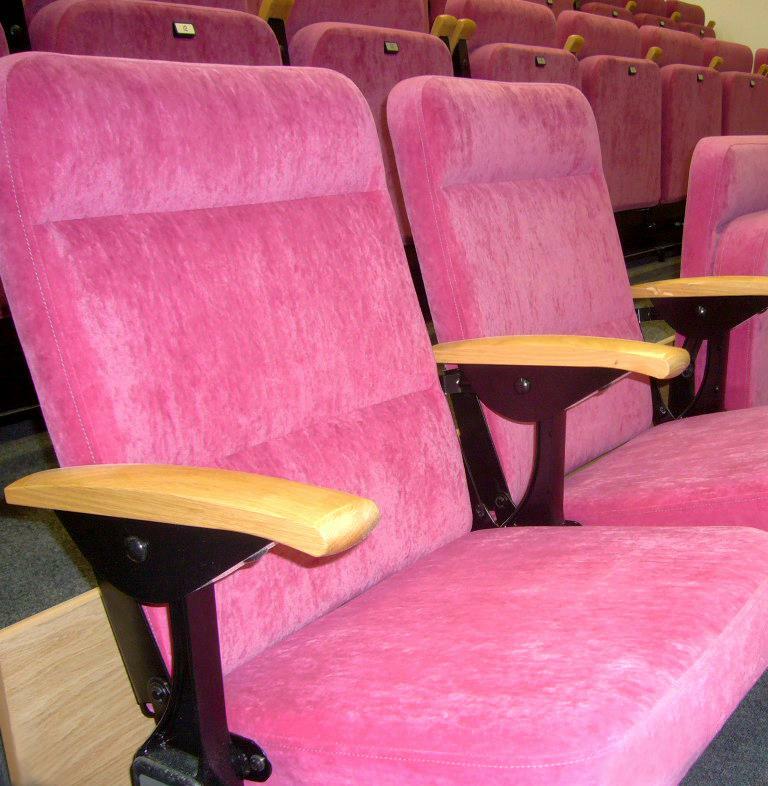 The thick, sprung seat is designed to support conference or concert attendees throughout lengthy events. 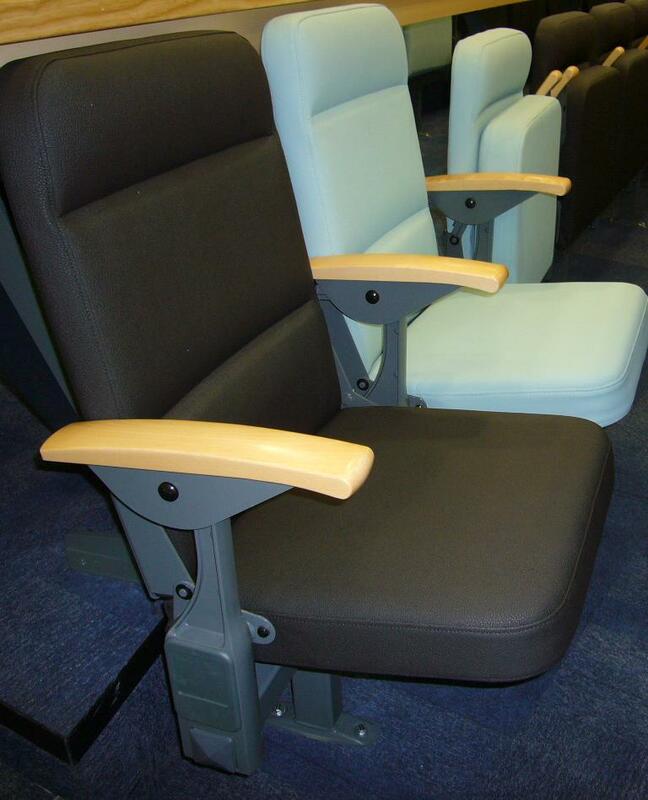 The seat and back fold up and the armrest automatically tips to form a neat closed envelope. 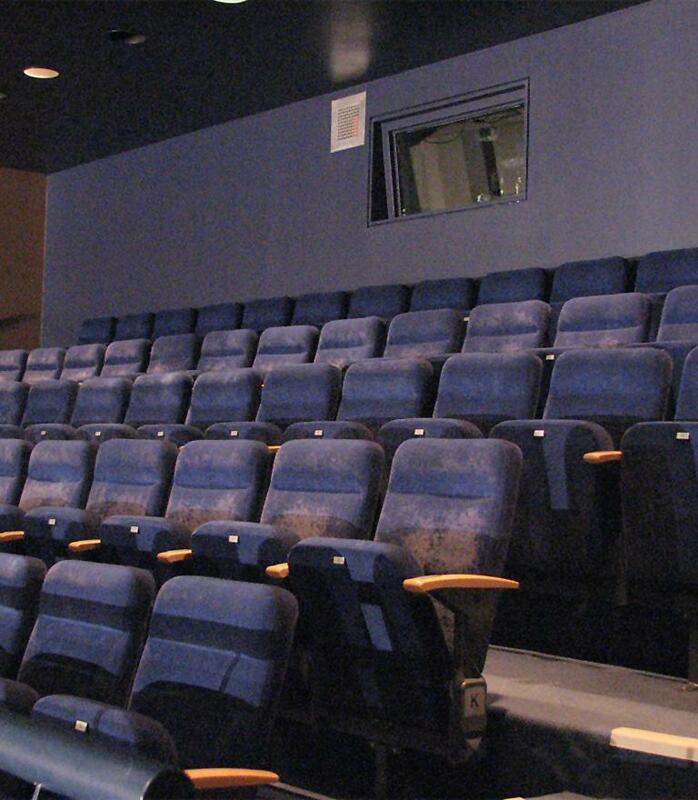 Suitable for both retractable platforms, traditional fixed auditoria and on our removable matrix system. 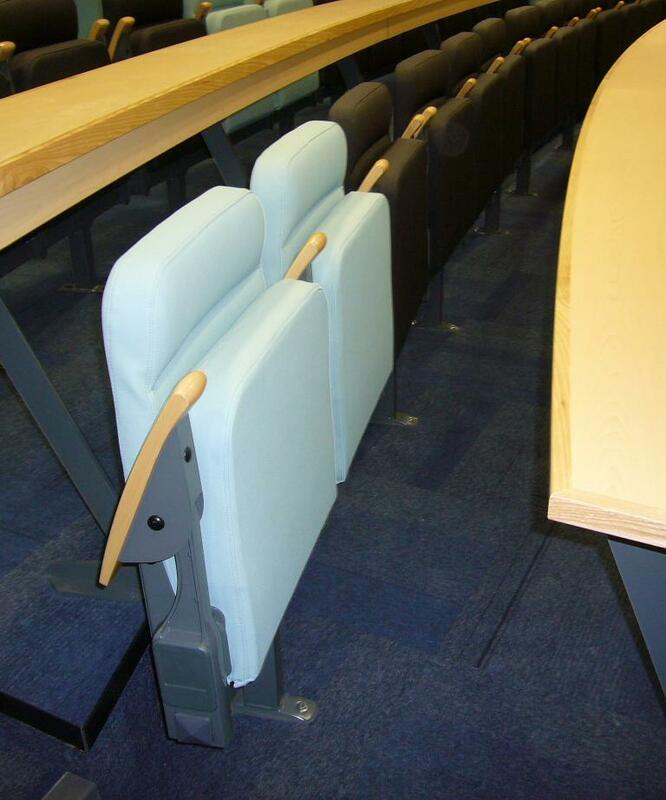 Just 165mm deep (170mm with plastic protection panel to the rear), creating generous walkways in front of the chairs. 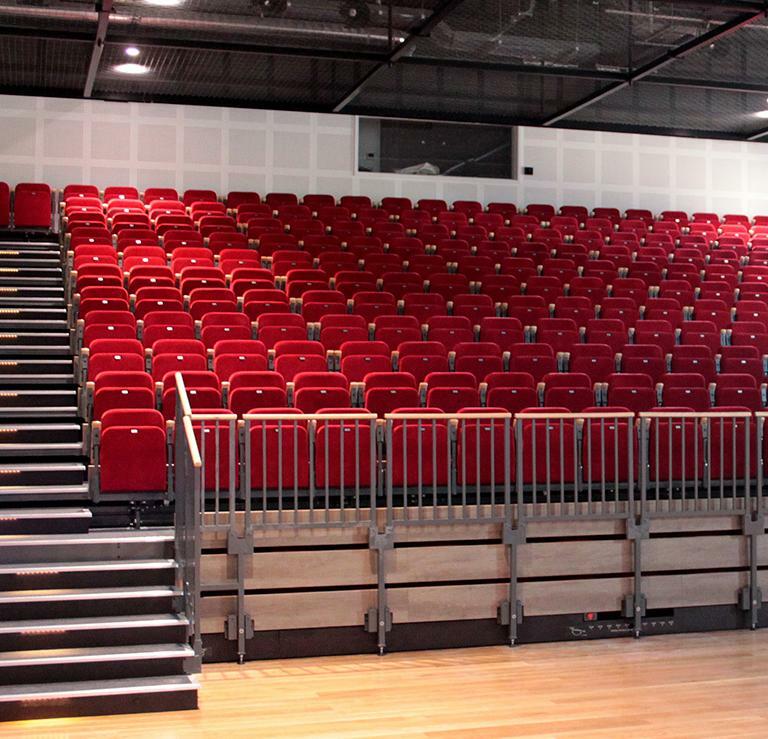 Ideal for performing arts spaces. Durable plastic opanels are available for the outer side of the back. The plastic panels wrap right around the corners of the upholstery, significantly reducing upholstery wear. All versions of the chair feature a protective steel kickplate to the lower third. Normally, the backrest moves down as the seat tips up to form a neat closed envelope. 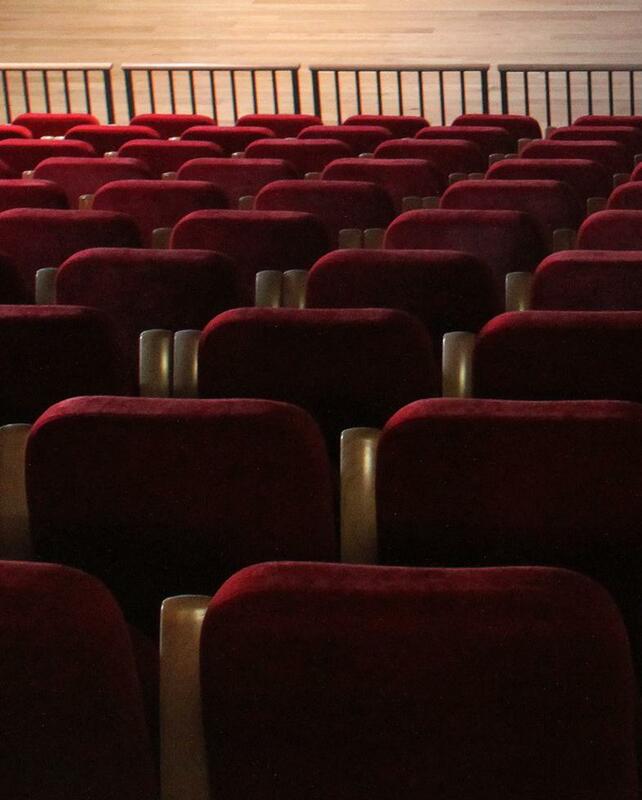 In some venues, a static backrest may be more appropriate. Choice of ABS, standard timber or contoured timber. Seat numbers and aisle letters.